Crema catalana or crema de Sant Josep, is the Catalan version of crème brûlée. It is usually served on Saint Joseph's Day (March 19). The custard is flavoured with lemon or orange zest and cinnamon. 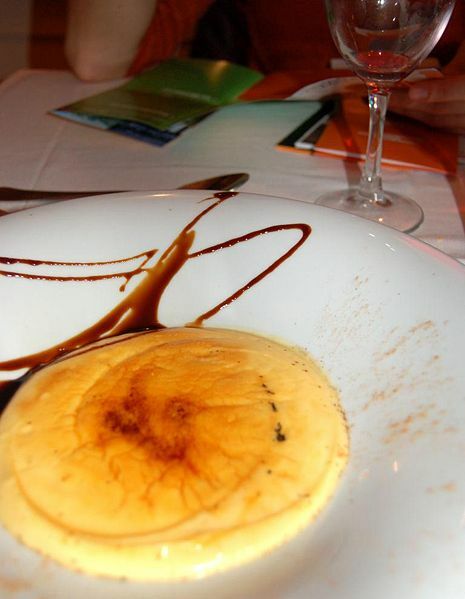 Catalans claim that their crema catalana is the predecessor of France's crème brûlée, though many regions lay claim to the origin of the dessert. The chief difference between the two is that crema catalana is not baked in a bain-marie as crème brûlée is.